Yaya Toure returned from his Manchester City exile to inspire a 2-1 victory at Crystal Palace that maintains their pursuit of the Premier League title. The midfielder was a surprise inclusion in Pep Guardiola's starting XI - making his first Premier League appearance of the season - and justified his selection by scoring each of the goals that brought them level on 27 points with league leaders Liverpool. Substitute Connor Wickham's second-half finish briefly took Palace level. Toure then responded by delivering the statement he needed when scoring second-placed City's winning goal to ensure Palace would suffer a fifth successive defeat. The midfielder's unexpected place in City's line-up - his only previous first-team appearance this season came in their 1-0 Champions League defeat of Steaua Bucharest on August 24 - followed his recent apology for "misunderstandings of the past". His agent Dimitri Seluk had been vocal in his criticism of Guardiola, who he said had "humiliated" Toure by omitting him from their Champions League squad. There was also a rare start for long-serving captain Vincent Kompany, but the defender only lasted until the 37th minute when a suspected head injury - team-mate Claudio Bravo clattered him when each challenged for the ball - meant he was replaced by Pablo Zabaleta. Palace have had injury problems of their own and as they attempted to avoid another defeat, goalkeeper Wayne Hennessey was also recalled in place of the injured Steve Mandanda, making his first appearance since September. It was in the 39th minute after Martin Kelly had conceded possession that Toure's vision gave City the lead. From the edge of a crowded penalty area, the Ivorian received a pass from Sergio Aguero and played a one-two with Nolito before shooting powerfully beyond Hennessey - via a deflection off James Tomkins - and into the back of the net. 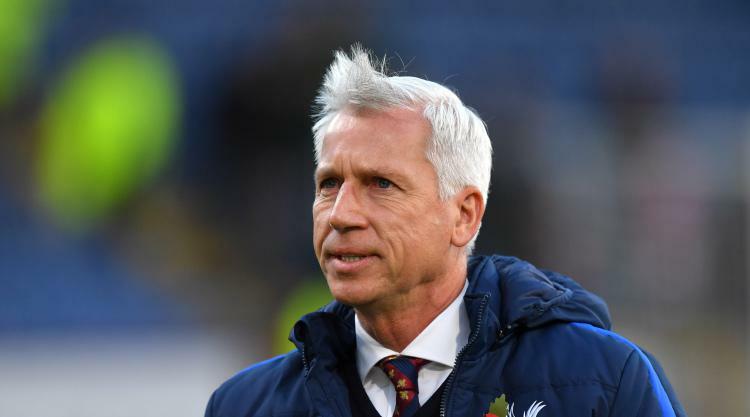 Palace manager Alan Pardew responded at half-time by replacing Andros Townsend with Wickham and was rewarded when his team produced a greater intensity and Christian Benteke threatened with a header. As they pressed for the equalising goal, City almost doubled their lead when Joel Ward, after Hennessey had taken the sting out of a near-post shot from Aguero, was forced to clear off the line, but the chance they needed almost instantly followed. With time in City's half in the 66th minute, Wilfried Zaha found Wickham in space and after a slightly heavy touch the striker ran into the area and powerfully shot under Claudio Bravo. The exceptional talents on Raheem Sterling and Kevin De Bruyne on each of City's wings led the response with which they sought to restore their lead, but to Palace's credit they have reappeared after the international football break with a more organised defence. There was ultimately little they could do, however, to read the set-piece that led to City's winning goal. From an 83rd-minute right-wing corner, De Bruyne sent a low cross towards the near post, where substitute David Silva dummied to deceive Hennessey and his defence, and Toure routinely finished from in front of goal to secure victory.